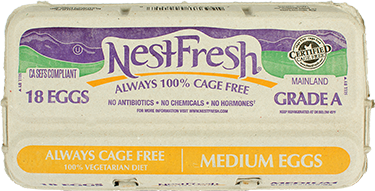 All NestFresh Eggs are 100% cage free. Each one comes from a hen who spends her days exploring spacious barns, and feeding on an all-vegetarian diet, free from hormones and antibiotics. NestFresh Eggs come from healthy, humanely raised hens, so they can make a healthier, happier you. 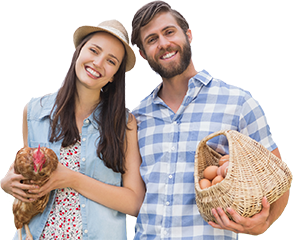 Each NestFresh egg product that bears the Non-GMO Project Verified seal comes from cage free, free-range hens fed a diet of non-GMO grains. These grains supplement the natural diet of bugs and grass our hens forage for when out to pasture. Our Pasture Raised Eggs come from family farms that give their birds room to roam. Each of these farms has at least 108 square feet of open pasture per bird. 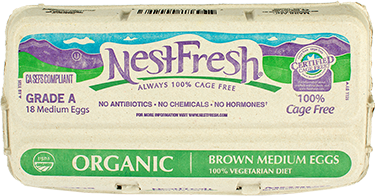 NestFresh Cage Free Brown Eggs are all-natural, farm fresh eggs from our happy, healthy, brown-eared hens. 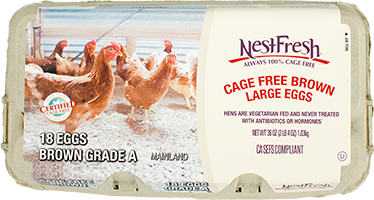 Cage Free White Eggs are classic NestFresh—free of cages, antibiotics, hormones, and harmful chemicals. They have white shells because they come from our white-eared hens. Our USDA Organic Eggs are laid by hens that are cage free, roam free-range pastures and feed on an all organic diet. Our Omega-3 Eggs are great for your mind and body! With 225 mg. of Omega-3 fatty acids, these eggs are the best choice for healthy heart, brain, and eye function. 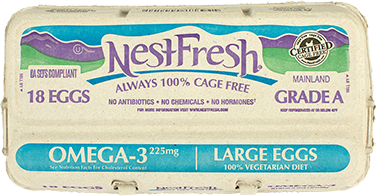 If you want the same cage free NestFresh Eggs you love in a smaller size, these are your go-to egg product. 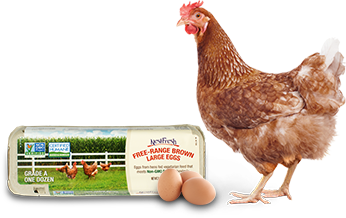 For some extra egg-protein, NestFresh Jumbo Eggs are the largest available size of our 100% cage free eggs. Felling hungry? 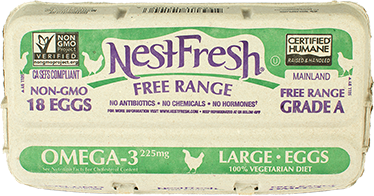 Find NestFresh eggs in your state.